How Long Does it Take to Get a Child Daycare License? The average caseload for child care licensing agents is 108, according to the National Association for Regulatory Administration. Although the licensing process varies by state, you can expect the process to take six months on average. To familiarize yourself with the licensing requirements in your state, contact your state agency. The National Child Care Information and Technical Assistance Center maintains a database of licensing agencies by state. The broad federal laws in regards to child care programs call for states to make provisions for the prevention and control of contagious illnesses, facility safety and appropriate health and safety training for providers, according to the National Association of Child Care Resource and Referral Agencies. Since states assume the responsibility for regulating child care programs, standards for day care providers are not universal. Your state may require you to obtain a license, register or get certified through a specific training program. As a result, there are variables when it comes to the licensing or regulating process. Forty-eight states require licensing or registration for family child care programs, and every state requires child care centers to obtain a license, according to the National Association for Regulatory Administration. Child day cares are subject to different licensing standards based on the type of program. 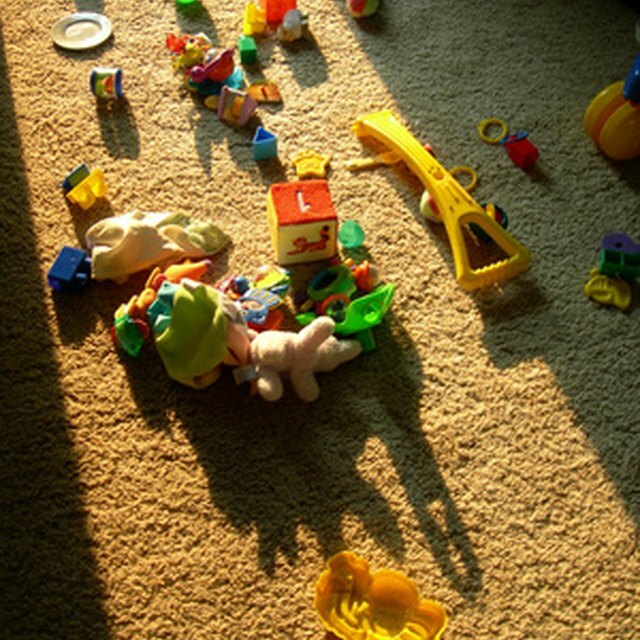 A home-based day care may take less time to obtain licensing than a child care center. However, this is not always the case. Licensing wait times depend on both the applicant’s commitment to the process and the complexity of the state’s licensing guidelines. A large portion of the licensing process depends on your response time. Most states require a medical screening, CPR certification, first aid certification and training hours. You are responsible for scheduling and returning the results, proof of certification and training to your licensing agent. Other factors that are less controllable by the applicant include a fire marshal inspection, a home inspection, the workload of the licensing agent and the background check process. Pre-licensing screenings and trainings can be time consuming, as can preparing your home for inspection. To finish in six months, you need to organize a timeline, starting with paperwork that must be passed off to various agencies to get the ball rolling. To prepare for your home inspection, your state may require safety features such as outlet covers, cabinet locks and safe storage of toxic cleaners, medication, guns and ammunition. Failure to adequately prepare your home for inspection can add to your wait time since a second inspection will need to be scheduled. Your state may require you to purchase specific equipment, toys and supplies to qualify for licensing, depending on the age of children and the number of children your day care will serve. You also may need to install fencing around your playground prior to getting your license. Your state licensing agent can help you make a plan for efficiently completing the licensing requirements.